This is pretty jarring. 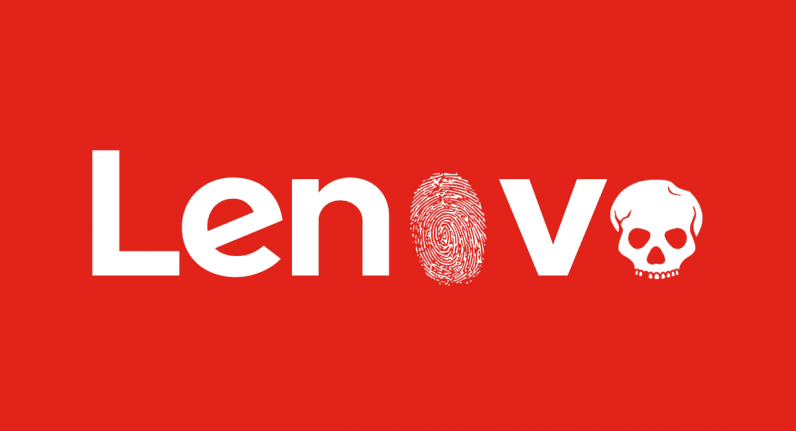 Lenovo has confirmed its in-house authentication software Fingerprint Manager Pro (version 8.01.86), which lets users unlock their devices using fingerprint recognition, was affected by a severe vulnerability which attackers could exploit to access to any system equipped with the app. “Sensitive data stored by Lenovo Fingerprint Manager Pro, including users’ Windows logon credentials and fingerprint data, is encrypted using a weak algorithm, contains a hard-coded password, and is accessible to all users with local non-administrative access to the system it is installed in,” the report read. The flaw was discovered by researcher Jackson Thuraisamy from Security Compass. Users running an affected iteration of the authentication app are advised to immediately update to version 8.01.87 or later. You can do so by clicking here. The security blunder is not the first on the company’s record. Back in 2015, Lenovo got its website hacked – a week after it was caught secretly loading adware on new computers.